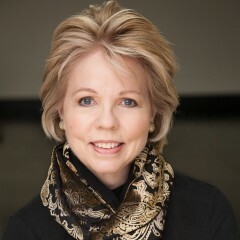 Elizabeth Hynes has been a faculty member at the USC Thornton School Of Music since 1995, and served as Chair of the Vocal Arts/Opera Department from 2005-2012. Ms. Hynes has taught at the Aspen Music Festival and School since 2003. She was elected to the Aspen Music Festival Corporation in 2005 and has twice served as a New Horizons Faculty, endowing three students for three years study at the Aspen Opera Theater Center. Ms. Hynes has also taught at the Oberlin in Italy program in Arezzo, Italy. With a national reputation as a vocal teacher and mentor, Ms. Hynes adjudicates regularly for the Metropolitan Opera Auditions and is in demand as a master class presenter around the country. Her students are consistently among winners of major competitions, and appear frequently with professional opera companies and orchestras throughout the United States. Throughout Ms. Hynes’ career, she has been recognized for her interpretation of Mozart roles, appearing frequently as Susanna, and Pamina. Her portrayal of the Countess in the PBS Live from Lincoln Center broadcast of Le Nozze di Figaro gained public and critical acclaim and she made her European debut at the English National Opera as Donna Elvira. A sought-after concert artist, Ms. Hynes has appeared with the Chicago Symphony Orchestra conducted by Georg Solti and the orchestras of Cleveland, San Francisco, Philadelphia, Seattle, St. Louis and Los Angeles, among others. She has sung with the orchestras of Madrid, Barcelona, Vancouver and New Zealand and with the Tonkünstler Orchestra of Vienna on two American tours. Vocal performances on the USC campus include: Mahler’s 4th Symphony, Britten’s War Requiem and Górecki’s Third Symphony with the composer conducting. Ms. Hynes can be heard in the role of Fennimore on the Nonesuch recording of the American Premiere of Kurt Weill’s Silverlake and in the role of Wellgunde in Das Rheingold on the archival Chicago Symphony recording: The Solti Years, Chicago Symphony Orchestra – Georg Solti, cond. At the beginning of her career Ms. Hynes was the recipient of the National Opera Institute Grant, William Sullivan Foundation Grant, the Liederkranz Foundation Scholarship, and served as an Affiliate Artist with the Ft. Worth Opera for three years.